Please accept my prostrated obeisances. Your letter dated 22nd August, 1970, addressed to me at Los Angeles is now redirected here in Calcutta. Perhaps you have heard that I have come back to Calcutta for distributing some of our books and literature and I am staying at the above address temporarily. Regarding propagating the Name of Sri Mayapur as Birthplace of Lord Caitanya, it is going on regularly in our different literatures and books. If you kindly take the trouble of coming here conveniently, I can show you how we are giving publicity to the Birthsite of Lord Caitanya. Perhaps you know that I begged from His Holiness Sripada Tirtha Maharaja a little piece of land at Mayapur for constructing a home for my Western disciples, but he refused the proposal. Srila Bhaktivinode Thakura wanted that the American and European devotees would come to Mayapur and the prophecy is now fulfilled. Unfortunately they are loitering in the streets of Calcutta without having a suitable place at Mayapur. Do you think it is alright? I am very sorry to learn that your health is deteriorating due to passing of sugar. The best medicine is to starve. I had one very influential doctor friend, the Chief Medical Officer of Vienna. When I was taking lunch with him sometimes in the year of 1955 he was suffering from diabetes and he told me that it is a disease for voracious eating and T.B. is a disease for undereating. If you kindly find some time and see me at your convenience that will be a great pleasure. You have reminded me of the Janmastami Day and it was pompously observed at our New Vrndavana. We were expecting some guests from India; unfortunately nobody came. Hope this will meet you in good health. Thanking you once more for your kind letter. Please accept my blessings. I beg to acknowledge receipt of your letter dated Sept. 13, 1970, and I have noted the contents carefully and with pleasure. I am especially pleased to note your fresh enthusiasm after your recent visit to the States, and also your statement that there is renewed determination and fresh enthusiasm in all of the temples you have visited. That is very encouraging to me, and if the GBC continues to work in this way there will be no difficulty in the future. Your proposals for increasing our popularity and familiarity among influential circles in the U.S. is very good. You may know that when I was in L.A. I especially wanted to use the new temple to attract some influential persons to our movement, but nothing much was done in that regard. Now if you can do something, that is more important than coming to India immediately. Lord Krishna says in B.G. that what great men do the common man will follow. So if we want actually to be successful we must convince the influential men of your country, then everything will follow automatically. So I request you to take this matter very seriously, as I think you have some special talent for it. Regarding the motion picture, it is a great opportunity, and if they actually want to do something wonderful I can come there personally and see to its direction. If it is an important film I think my personal direction is necessary. If not, then I think you can send me a synopsis of the script so that there may be nothing objectionable from the start. If this film is properly done it will be very profitable, even from the commercial point of view; and if they are interested, we can give them hundreds of stories from Bhagavat which will make wonderful films, and simultaneously the people will be educated to the proper religious and moral standard. So please try very seriously for this and I think Krishna will give you all intelligence and facility. Please convey my blessings to your good wife and child. Hope this meets you in good health. Please accept my blessings. I am in due receipt of your letter dated 8/11/70, and I have noted its contents with great hope and enthusiasm. Under the expert leadership of such sincere students as yourself and Rupanuga and Karandhara in the U.S. the GBC is taking on the responsibility that I desired. Similarly in Europe Syamasundara. is working hard. So by Krishna's Grace everything is taking shape. Here in India also the work is pushing forward, and daily we are getting reports of support among the influential members of the community. Half of our devotees have just opened up another center on the other side of Calcutta, and last night there were more than 200 persons singing and dancing at our place. So I can see that there is very good potency at the present moment for spreading this movement as was desired by my Guru Maharaja, and I am simply trying my best to carry out His desire. And if some of my students adopt this attitude, without any other motivation, surely Krishna will fulfill our desire. So push on with book publication and distribution, and I am very glad that you are now distributing to schools and libraries. Yes, Sri Brahma Samhita may also be printed. It is very encouraging that Krishna has given you a nice new building. That is the way--the more we do for Krishna the more facility He gives us. Please send me some slide pictures of this and any other activities you have got as everywhere we go we show a nice slide show, and it is always greatly appreciated, together with kirtana. Lately there has been some misunderstanding amongst our devotees about our Krishna Consciousness philosophy. Particularly there has been some confusion about the relationship between the Spiritual Master and Krishna. The Vedas say that there is a Master Krishna. This Servant Krishna is the Spiritual Master and this is the conclusion. The Spiritual Master is the Mercy Representative of the Supreme Lord and as such He is given honor as good as Krishna, but He is never identical with Krishna. Perhaps you know the picture of Madhvacarya, one of the great Acaryas in our line, who is holding two fingers up to indicate Krishna and jiva. The impersonalists hold up one finger because their idea is that everything is one. So if we make the Spiritual Master identical with Krishna, then we will also become impersonalists. If we say that our Spiritual Master is Krishna, then the conclusion is that if we become Spiritual Master some day, then we will also become Krishna. Please try to understand how dangerous this kind of reasoning is. You have both been very nice devotees and I would like you both to continue to make nice advancement. So please patch up any crack that may have come between yourself and ISKCON. As husband and wife you must always remain together and raise your daughter in Krishna Consciousness. I would like you to go back to New Vrndavana and fix up a nice living place for yourselves and help to develop the New Vrndavana scheme. Our ISKCON should be taken as being a family based upon love and trust, so as the father becomes unhappy when one of his children wishes to break family connections I also become unhappy when there is difficulties within our ISKCON family. So please do not consider leaving as you are spiritual children of mine. While writing this letter dated September 12th, 1970, I do not think at this time you should come to India. Your both service is required in New Vrndavana. Please chant your rounds sincerely and read carefully all the books and dedicate your life equally to Krishna and your Spiritual Master. This will make you happy. Hope you are both well and your daughter Vrajadevi also. Please accept my blessings. I beg to acknowledge receipt of your letter dated September 15th, 1970, the contents of which have given me great satisfaction. Sriman Hanuman has already arrived here in Calcutta and from the pictures he has shown me of your temple and devotees I can understand that everything is going on very nicely there. I think Krishna is giving you good intelligence to manage everything in Paris. Everyone should be kept fully engaged one hundred percent of the time in Krishna’s service without a vacant moment so that Maya will never have a chance to act. It does not matter what one’s engagement in Krishna’s service may be; Krishna accepts equally the service given to Him by a little calf and that given by Srimati Radharani. So we should all be very much appreciative of our God-brothers’ and Godsisters’ service. I am glad that Aradhana and Santanu are engaged in painting pictures. As we open more temples there is a greater and greater need for paintings. So they can paint as many as possible pictures of Panca Tattva and Acharyas and distribute them to all the new temples—this will be a great service to our society. I am glad to learn your Sankirtan Party is going to all the areas of the city each time out. Here also the Samkirtan Party lead by Madhudvisa Maharaj is having great success and sometimes as many as four hundred business and working men join them in chanting Hare Krishna on the streets. It is all Chaitanya Mahaprabhu’s Mercy that this is happening all around the world and we should pray to Him that he may benedict us with even greater opportunity to spread His Samkirtan Movement. Please continue your search for a suitable temple building and Krishna will help you in this also. I have instructed Tamal Krishna to write you also. He has received your letter. Please offer my blessings to all the Paris Prabhus. Hope this will meet you in good health. Please accept my blessings. I beg to acknowledge receipt of your letter dated 30th August. Regarding arranging your tour, you should make your plans as you think best. This I will leave up to you. There are now ten devotees with me here and I expect 20 more men and women from the U.S. and Europe to come within a month. So I cannot say now definitely what will be our program. You make a nice program and when you arrive we can then make further arrangements as necessary. Please accept my blessings. I am in receipt of your letter dated Sept. 5, 1970, and the essay THE SPIRITUAL MASTER: EMISSARY OF THE SUPREME PERSON enclosed therein. I have read it, and am glad that you have understood the matter so thoroughly, and have now substantiated your conclusions with so much scriptural proof. Actually, that is our method of preaching, simply to repeat the message as it is coming down from higher authority. Here in Calcutta everything is going nicely. Hundreds of people join in our Sankirtana Party daily in downtown Calcutta, and I am confident that this mission of Lord Caitanya's will be successful if only we continue to push on this great movement, without any personal motivation. Hope this finds you and your good wife and child in good health. Please accept my blessings. I am in receipt of your letter dated Sept. 13, 1970, and I congratulate you on the good news of opening the Portland center so successfully, and I am very pleased that things are going on nicely. I received your telegram, and also receipts for three deposits to the BBT at Dai Nippon; and I received your other letters, but on account of Devananda's disposition, I have not been able to reply them. Today I am taking the help of Kirtanananda. Please go on sending the reports. On the whole I am very pleased with your management. The Ekadasi program is very nice. Krishna is giving you good sense and intelligence. Take care of your godbrothers and godsisters very carefully. Regarding Deity worship, Silavati and Yamuna Devi may be considered expert, so if some new hands come and take their help, that is a good proposition. Once established, however, Deities should not be removed. We should treat the Dieties as the Personality of Godhead, and to invite Him to come to your home you must worship regularly. You cannot remove. If there is scarcity of pujaris, then Deities should not be installed, only pictures of Guru and Gauranga should be worshipped. Irregularity in worshipping Guru and Gauranga can be tolerated, as they are always kind and forgiving, but irregularity in worshipping Lord Jagannatha and Sri Sri Radha Krishna is not good. It is very good news that library distribution is going on nicely, and I am very much pleased that Dayananda is helping you. I know he is a very sincere devotee. Please accept my blessings. I am in due receipt of your recent (undated) letter. Regarding the painting of the Universal Form, yes you may do it as in the Brijabasi print. You will be pleased to know that everything is going very nicely here, and we are having many meetings, almost every night, in various places with good notice. Daily our Sankirtana party goes down town where they are followed by hundreds of Indians. If we are only sincere, Krishna will give us all facility. Please accept my blessings. I am in receipt of your letter dated 8/30/70, and I have noted the contents carefully. Yes, you are correct that that anything outside of Krishna Consciousness is insanity, and I am glad that you are realizing it more and more. Similarly I have been getting letters from Karandhara, Rupanuga, and Hayagriva telling how they are feeling new assurance in Krishna Consciousness. So if our GBC members remain strong, strictly following the regulative principles, everything will be all right. Please continue to travel among the centers and preach as much as possible. I am pleased to know that you have fully distributed your money to my Book Fund and BTG, and as you are experiencing, Krishna will send you more. We should know it well that Krishna is no poor man, and He can give us any amount at any time. Simply He is waiting to see that we will use it according to His desire. So the more we spend in His service, the more He will provide, rest assured. Please accept my blessings. I beg to thank you for your nice letter dated September 14th, 1970, and I have noted the contents. I was very much hopeful about the house, but you have not got it. Don't be worried, Krsna will provide you with a better house very soon. Regarding the quotation, it appears to be cheaper, but there is no mention of the quantity. So in your next quotation clearly state the quantity. In India, from the very moment we stepped down from the airplane, there is good propaganda work going on. We are following the same principles as in the U.S.A. by sending Sankirtana Party and it appears to be very successful. We have had many meetings and still we have got many engagements and the functions are going very nicely. The boy Bruce is improving and becoming more interested. He has now sacrificed his hairs for Krsna--that is a good sign. I hope the methodical way you are conducting our Tokyo Temple will improve more and more and there may not be any more poisonous effects as it happened in the past. Kindly let me know at least once in a fortnight about your nice actions. Please accept my blessings. I beg to thank you for your letter dated August 31st, 1970, and I have duly noted the contents. Regarding your opening a branch in Hong Kong, I have got all my blessings upon you. Do it immediately. So far your remaining on the Governing Body Commission, I do not think that is a great burden. Do your best to serve in the Commission by correspondence, but I prefer to see you a great preacher and if possible you may be relieved from the responsibility of remaining a member of the Governing Body Commission. You have already opened up several branches like Tokyo and Sydney, so please continue this opening of centers as many as possible in Fiji, Melbourne, etc. While we were coming through the Philippines on the way to Calcutta from Tokyo we learned that in Manila they are also interested in our Movement for Krsna Consciousness, so that is another open field. Please accept my blessings. I beg to acknowledge receipt of your letter dated September 6th, 1970, and have noted the contents. I am so glad to learn that your center is doing very nicely--distribution of Back to Godhead and other literatures is very encouraging and you are now 17 devotees strong there. If you a have got sufficient devotees to take care of the Deities as you have seen how in the Los Angeles Temple, take instruction from Yamuna and Silavati how they are worshipping and the installation procedure is given on a separate sheet. 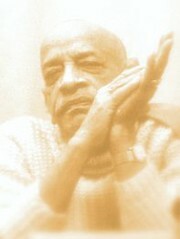 Regarding your invitation to take instruction from the University scholars, we are not concerned with a scholar who knows theoretically Caitanya Vaisnava Movement but we are interested with persons who are actually devotees who actually chant Hare Krsna Mahamantra and follows the regulative principles; Theoretical knowledge will not help us. Yes, regarding Mr. Murthy, it is better for me if he comes to India and lives with me for some time. Please offer my blessings to all the devotees and your good wife, Laksmimoni Dasi. Hope this will meet you in good health.